The Supreme Court of Liberia. The Chief Justice of Liberia, Francis Saye Korkpor has described as an 'attack on justice' in Liberia report of the drafting of a bill to establish a Committee of the Legislature to be above the jurisdiction of judges of the Supreme Court of Liberia. "As we speak, there are information that the Legislature is contemplating on drafting a bill that will establish a committee that will be above the jurisdiction of Supreme judges; this will not only affect the justice system of Liberia, but it is an assail (attack) of justice and of the doctrine of the separation of power as provided for by the constitution of Liberia," he alerted. Cllr. Korkpor made the disclosure Monday October 8, 2018 when he officially declared the October 2018 Term of Court of the Supreme Court of Liberia. He however used the occasion and urged Party litigants not to have any fear in dispensing justice as long it is in line with the laws of Liberia. 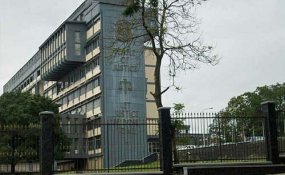 Second working Monday in each year is set aside by the Supreme Court of Liberia to resume court proceedings aimed at adjudicating cases on the dockets of judges across the country.